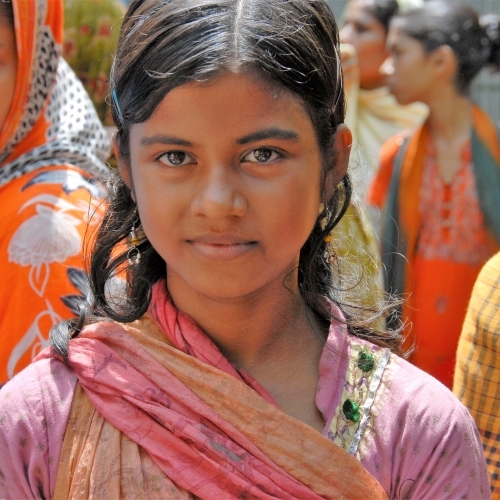 Child marriage is a hidden cause of hunger and poverty globally, and particularly in many of the countries where The Hunger Project works: South Asia and Sub-Saharan Africa have the highest rates of this harmful traditional practice. You can play a role in transforming the situation for young girls: when you fundraise via Unleashed Women, you can help us put an end to child marriage and give young women the chance for a brighter future. Training local volunteers to understand the negative impacts that child marriage has on the health of individual girls and the wider community empowers them with the knowledge that there is a different way to live. The Hunger Project's programs help women understand their rights and empower them to take a stand against belief systems and traditional practices that repress and discriminate against them. When women have access to the knowledge, skills and resources required, they are able to be in control of – and take action for – the issues that affect them like: malnutrition, social isolation, early pregnancy, lack of education and exposure to domestic violence. By helping end child marriage, we give women and girls the opportunity to thrive; they are able to attend school, access employment and as educated women they develop powerful voices to use against forces that oppress them and girls and women around them. The good news is that progress is being made! In South Asia for example, the rate of child marriage has dropped from 32 per cent to 17 per cent (UNICEF, 2014). However, the practice is still commonplace and requires strategic and sustained action through empowering and educating women to put an end to it once and for all. Through Unleashed Women, you have the opportunity to partner with women globally to help them achieve their goals for the end of child marriage in their villages!